When I started Ultimate Hot Chocolate a year ago I had no idea that it would become so popular, and that I would enjoy putting it together so much!! As my last post for 2012, I thought I’d do a bit of a summary of the hot chocolates I have had this year. 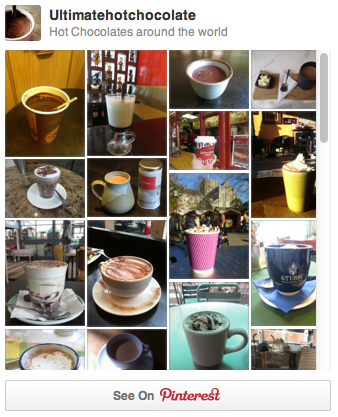 To my surprise, it turns out I had almost 100 hot chocolates in 11 countries all around the world in 2012!!!! January and February were all about hot chocolates in Miami and Houston in the US. 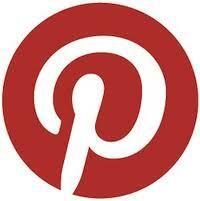 In Miami there was News Café, 11th Street Diner, Segafredo Café, and Patagonia. 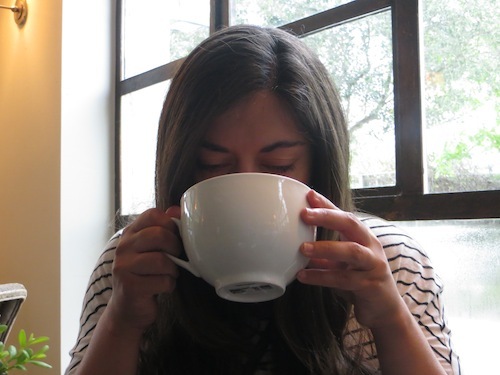 In Houston I tested out Dirk’s Coffee, Inversion Coffee House, Empire Cafe and Down House. I also had one of my favourite hot chocolates ever in Santo Domingo in the Dominican Republic. March and April were all about France, and my gosh are the hot chocolates good there! There was deNeuville, I’Isle au Jasmin, River Blues, L’Aragon, L’Atelier du Chocolat, Jeff de Bruges in Pau. In Toulouse I enjoyed hot chocolates at Les Arcades, Bapz, with a quick side trip to Lourdes to try to hot chocolate at La Belle Epoque. After France there was the UK with a trip back to Cambridge to enjoy some old favourites, in particular Benets, but also Fort Saint George and Chocolate Chocolate. In London I tried Flatplanet, another old favourite Princi, Lola and Simon, Tapas Brindisa and Rabot Estate. A work trip up to Warwick introduced me to one of my favourites this month, Curiositea. In May, I found myself back in Texas with some hot chocolates in Austin at Jo’s, Halcyon, Book People, Magnolia Cafe, and in Houston at Cricket’s Creamery & Caffe. A weekend trip to New York introduced me to Michel Cluizel (one of my favourites), the City Bakery, Filicori, Pershing Square and Dominique Ansel Bakery . On my birthday I introduced you to my usual hot chocolate at home for 2012, Green & Black’s. May also included a trip to Bilbao and San Sebastian in Spain, where I enjoyed the beautiful rich and creamy Spanish hot chocolates at Opila, Café del Arenal, Bistro Guggenheim, Bokado, and Astoria 7 Hotel. In June I was back in London again, enjoying hot chocolates at Caffe Caldesi, Konditor and Cook, Verde & Co, and Upsy Daisy Bakery. A trip to the UK for me wouldn’t be complete without another trip back to beautiful Cambridge, and this time I tried Indigo Coffee House, Bill’s and Fitzbillies (and their incredible sticky sticky buns). In July it was all about Brazil!! In Rio we tried out historic Confeteria Colombo (Centro), Casa Mosquito, Cafecito, Casa Cool Beans, La Bicyclette, Confeteria Colombo (Copacabana), Rei do Mate on Sugarloaf Mountain, Kopenhagen, and Christ Redeemer Statue café. In beautiful Paraty I had several hot chocolates including at the Cultural Centre, Caminho do Ouro and Café Pingado. August was our big trip to Vietnam where I didn’t expect to have good hot chocolate, but was pleasantly surprised to have some great ones including Café Nang, City View Café, Baguette & Chocolate, Café Nhan, Helio, and Moca Café in Hanoi, Legend Hotel in Ho Chi Minh City, Baguette & Chocolat, Sapa Rooms in Sapa, and Ginger Junk in Halong Bay. The highlight in Vietnam of course was the Chocolate Buffet at the Sofitel in Hanoi, a must if you are in that area. I was fortunate enough to be able to make a side trip to Cambodiam where I tried out The Blue Pumpkin and Le Tigre de Papier in Siem Reap. I also had an incredible hot chocolate at the Japan Airlines Lounge in Narita Airport Tokyo Japan on the way home strangely enough! Before the summer was done I had also had quite a few more hot chocolates in Texas including at gorgeous little Highs in Comfort, and Bear Moon Bakery and Café in nearby Boerne. In Houston I tried Ziggy’s and coffee hot spot Catalina. In Austin I was introduced to Easy Tiger, a fantastic little French Bakery. A weekend trip to Denver for a wedding gave me the excuse to try a few hot chocolates at Tattered Cover, Rocky Mountain Roastery Coffee and Goody’s in Winterpark. In November we were back in New York City with a hot chocolate at Vosges, and I had an old favourite from Italy (made at home) called Cameo Ciobar. The year finished off with some hot chocolates down under. In Brisbane I tried Chocolate Solider, G”Day Bronte in Sydney, in Montville Poet’s Café, and on the Qantas flight to Australia a Cadbury hot chocolate. 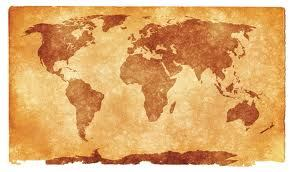 Next year will be a big year with already planned in Canada, Australia, several new spots in the US and probably some hot chocolates in Europe and Asia. Stay tuned!! And of course…Happy New Year!!! !